The Longman Annotated English Poets (LAEP) series represents the very highest order of textual scholarship and the clearest assimilation of the widest range of critical responses. The founding principles of the series & #150; not least the insistence on modernised spelling & #150; ensure that no other editions can rival the combination of academic rigour and general market accessibility. 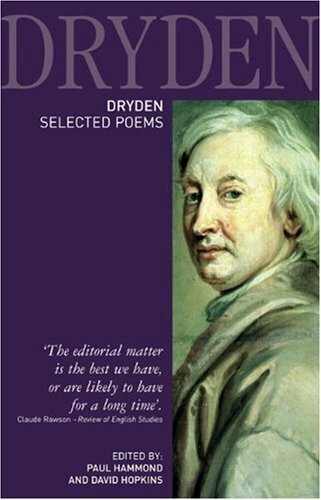 This paperback abridgement of the five volume Dryden collection will be the standard one volume reference work for many years to come.